Welcome back to the blog! 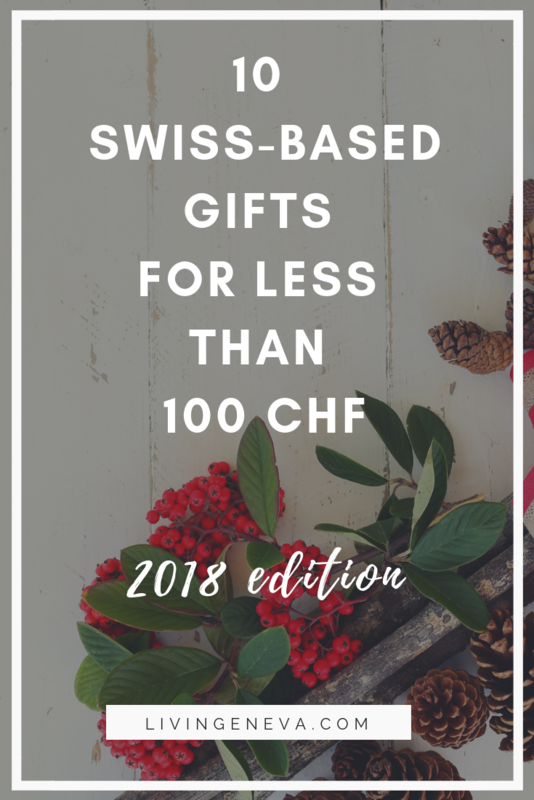 For this 2018 edition of the Swiss-based Christmas gifts I wanted to choose brands and products that will definitely not end up in the trash and they are more than just an object they have a story and they are also part of an experience. In this list you will find food, books, beauty & wellness and not only “things” since a lot of the time we might prefer gifts that will bring us something new and will make us grow or learn something! I am super excited about this list that I have been working on for a couple of weeks! Where: Based in Zurich, you can purchase online. Animazul is a Zurich based brand that represents several Latin America brands that are all socially sustainable and support the local communities. Karin the founder is from Guatemala and has a deep passion for helping people locally and to bring the best each country has to offer! Less than 100 : I am obsessed by this Parrot Ring, Tiger Ring, or the Wakami bracelets that are the perfect conscious gift to a friend. Dont know what to buy? Offer a 100 CHF giftcard ! 2.- Body Pass – for 85CHF = 50% off in 150 beauty places in Switzerland! What: Body Pass is a membership card that gives you for 1 entire year the posibility of trying many unique places in Geneva for 50% of the price. Where: Mostly in Geneva, but now they have expanded to ski stations in Switzerland, nearby France institutes and more! It is really not common to stumble into this type of opportunity. On the Body Pass you have 5 Star Spas such as the Valmont Kempinski (check my post here) or the Guarda Golf (I was there last year check my post here) or go to the Bellevue in Gstaad. Also you have special offers like at Buicil (check my post here) were I go and do my eyebrows everymonth! Dont know what to buy? I think this is the best gift if you have no idea what to buy because everyone is happy to have a massage, a manicure or a haircut! 3.- C & C – Chocolate & Swiss Cheese – Food is always a good idea! I love when people offer me food. Because lets be honest, sometimes we have no idea what to do with the Christmas gifts people give us… (#sorrynotsorry). But food? Food is always great and welcome! 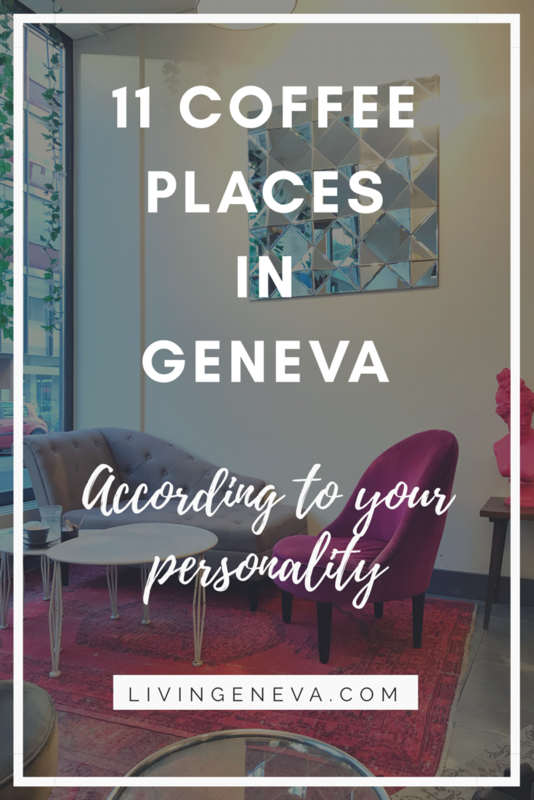 I selected a few places where you can buy the best raclette and fondue cheese in Geneva and my favorite chocolate shops too! 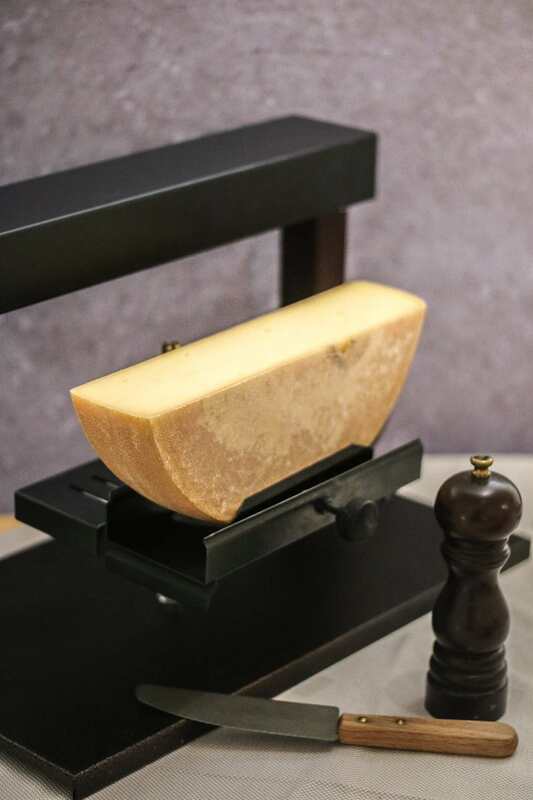 – Läderach is all over Switzerland and it is TDF and they have also won several global awards. 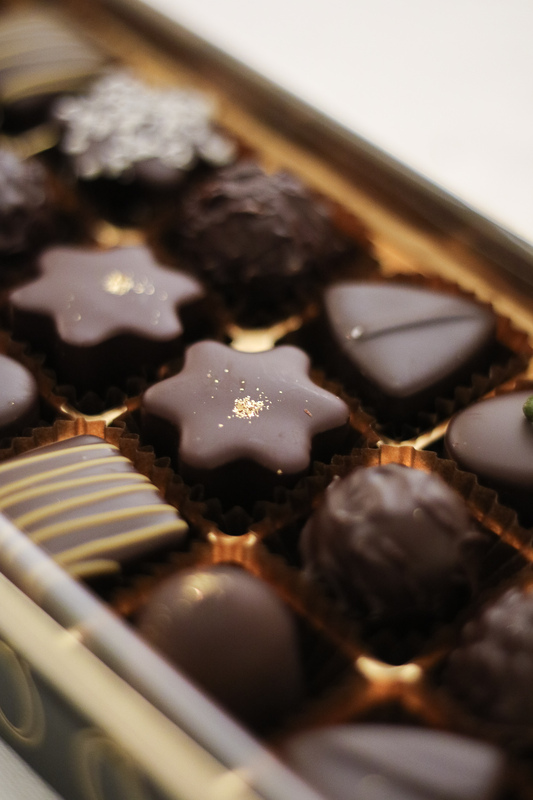 -My ultimate favorite chocolate ever is Max Chocolatier (I have shared this on several occasions) you can order online your chocolates… oh yes! -Latest discovery you can personalise your our TOBLERONE!! On this website… how ultra cool is that?! 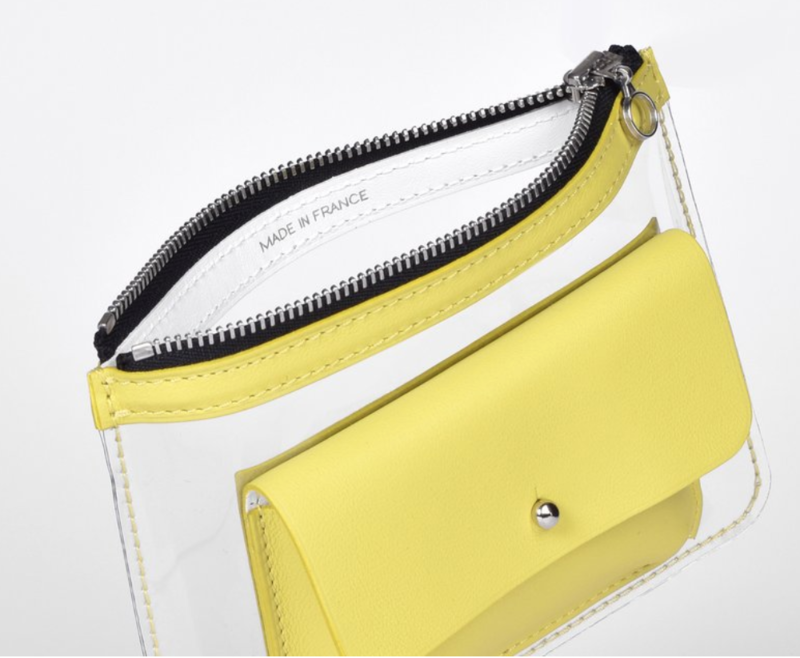 What: Perfect minimalist basics with great fabrics and designs and accessories. Lamarel was founded in 2018 by Sandra, a beautiful (inside & out) girl living in Basel. She noticed there was a gap on the sustainable and slow fashion in Switzerland so she decided to fill in the gap! All the pieces are done in Portugal by women; all the production is done with an ethical purpose and empowers women in every step of the way. 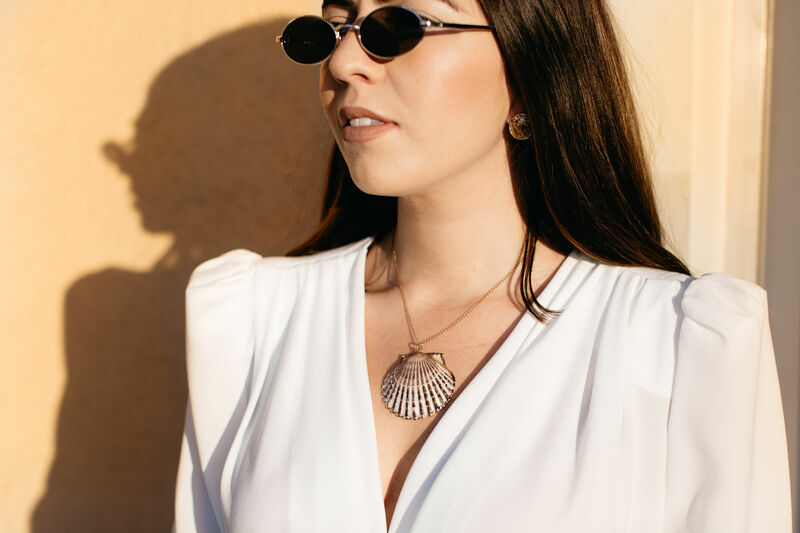 Less than 100 : I am obsessed by the perfect t-shirt (I think I want to order 6 more to make an uniform), also in love with the shell necklace that make a statement with a simple outfit or the Gloria body I used at a gala this year. Dont know what to buy? A 17.9 chf hair scarf is the perfect accessory for any time of the year! 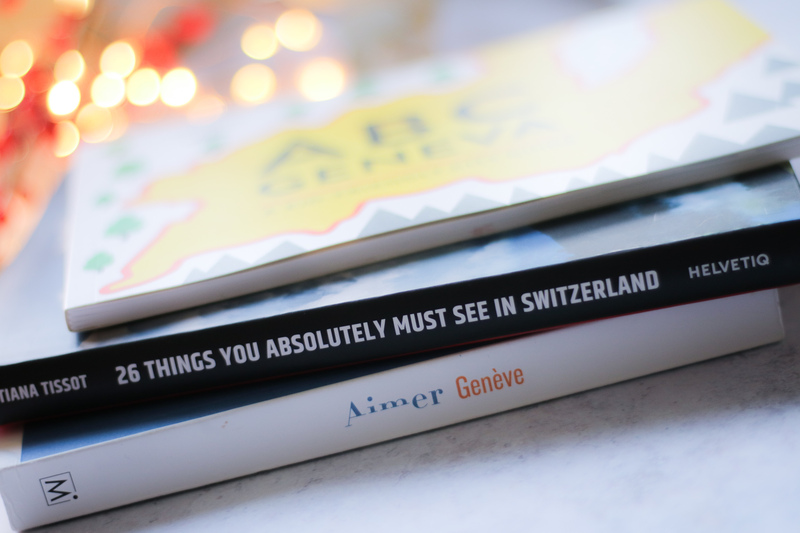 What: Books that inspire you to travel in Geneva and Switzerland! 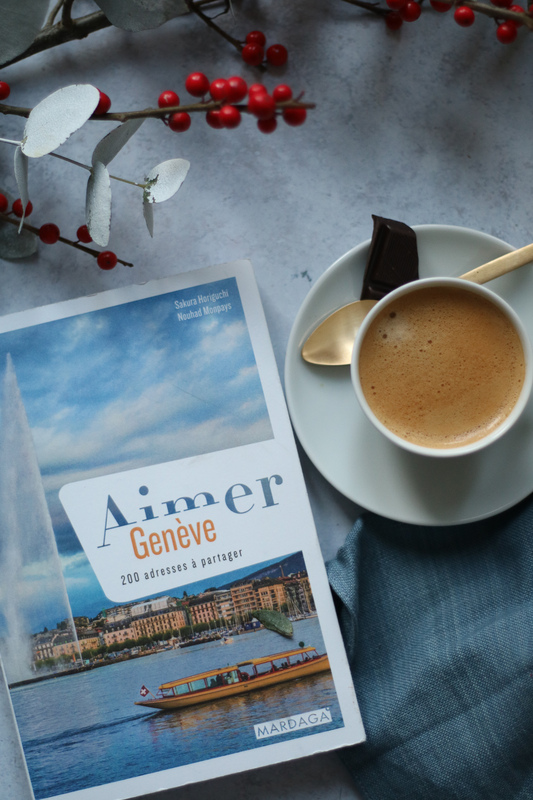 I am so proud of my fellow bloggers that this year launched a Geneva Guide AIMER GENEVE !! Nouhad and Sakura have been the pioneers of blogging in Geneva and I could not be happier for them to launch their book! 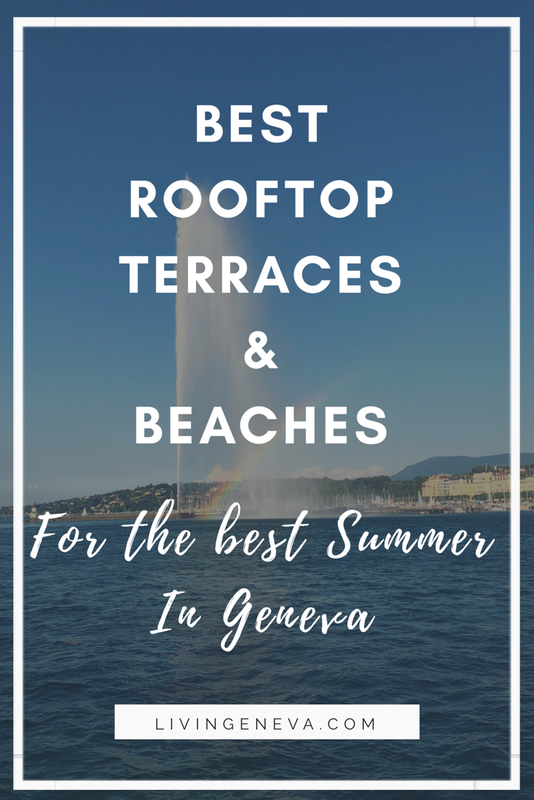 It is the perfect gift for that friend that just arrived to Geneva or is looking for things to do here! 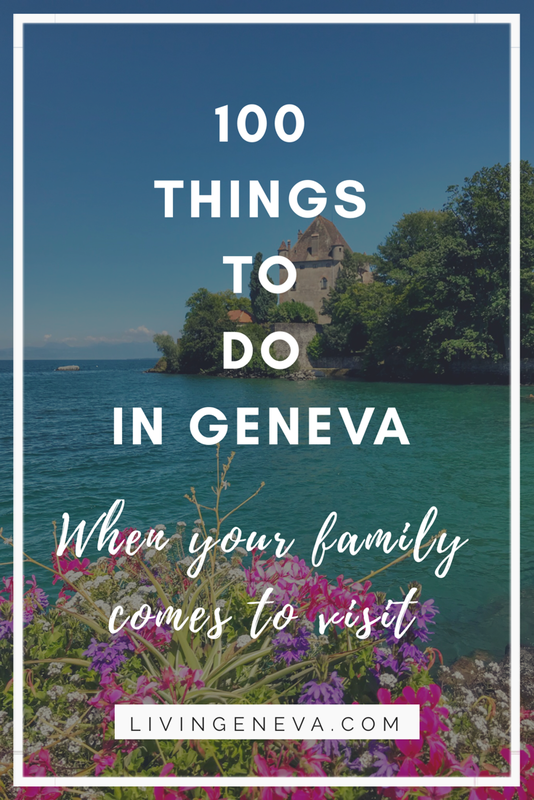 Also Olga from Parentville has published her kid-friendly city guide ABC Geneva and it is bilingual and ilustrated with the most iconic things from Geneva! 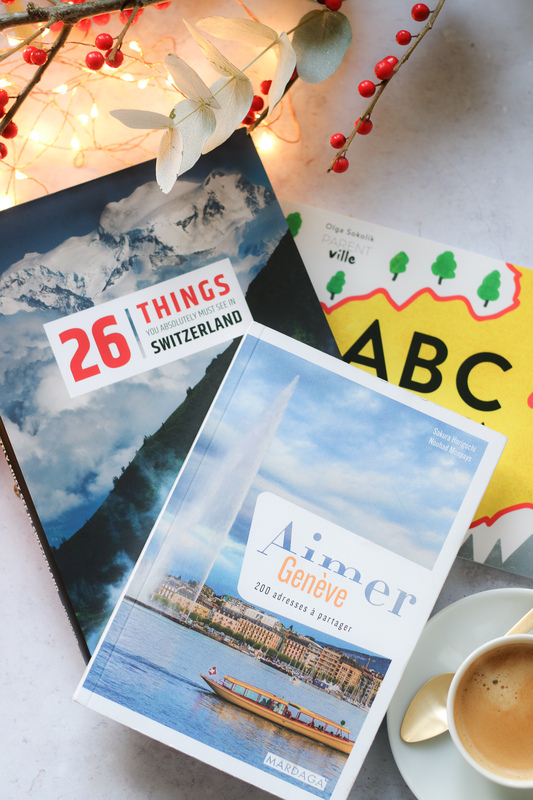 In a recent shopping spree I came across 26 things you absolutely must see in Switzerland that is the best book to discover Switzerland off the beaten path! I love discovering new brands on instagram that have a unique design and story behind! 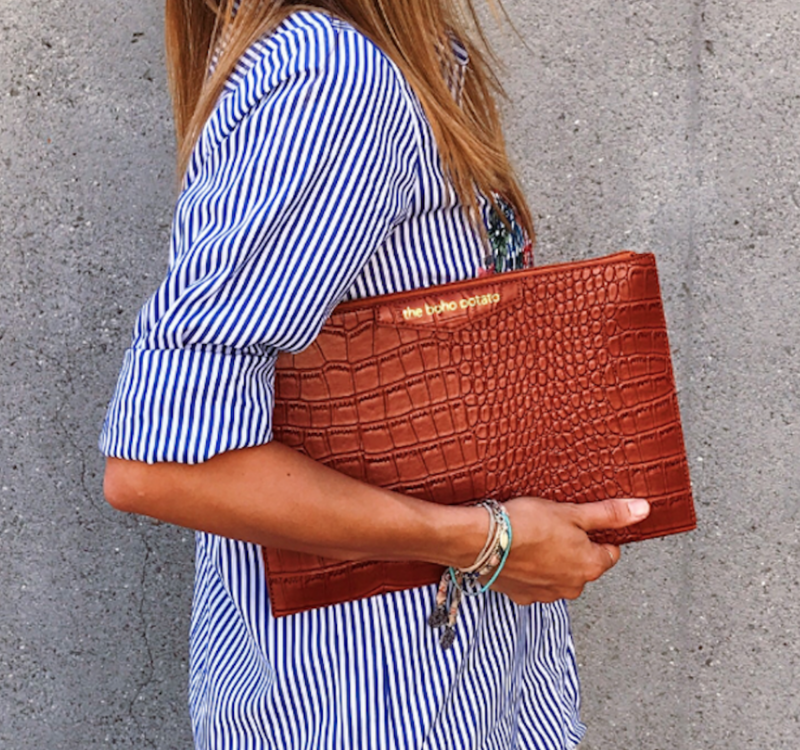 Marlich is based in Lausanne and every collection is crafted by an artisan leather manufacturer in France. Where: Based in Switzerland online! 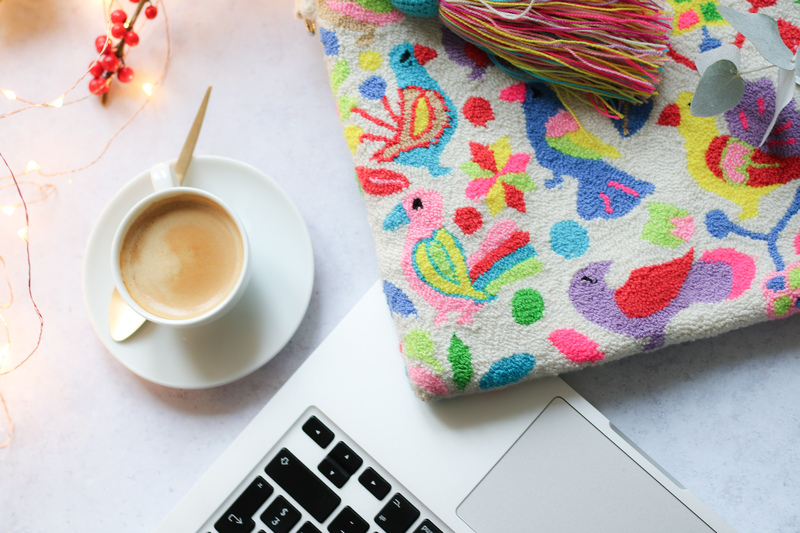 Here I am introducing two brands that sell beautiful laptop cases that are the ultimate accessory for your entrepreneur friend that works from cafe to cafe (LOL ME!!). The first one is Mama Tierra a NGO with unique WAYU accessories that not only are super stylish, but also help a beautiful cause of supporting indigenous women. The second one is Bohopotato a Zurich based brand that sells exclusively laptop cases that are soooooo beautiful and stylish! A very different style than Mama Tierra, these are made from PU-leather or fabric. 8.- Ensoie – ceramics that will cause amazement! What: Mugs, beautiful ceramics, fun keychains & more. Ensoie is my favorite shop in Zurich! Their ceramics ara so beautiful ♥. And while yes their prices might scare you a little bit, be mindful that everything is sustainable, both social and ecological; they are mindful and respectful of ancient crafts and deeply committed to keeping them alive. They work with small, often family-run manufacturers who work exclusively for them. 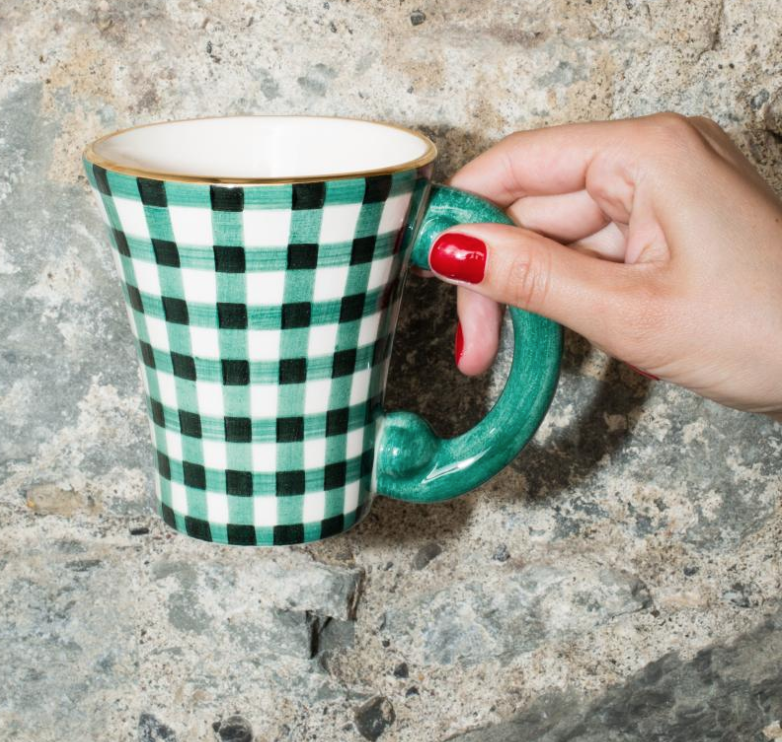 I am in love with their mugs and that super special vichy pattern and that 10k gold detail! For me this is the ultimate Swiss Gift anyone could give me! So special! Less than 100 : In They have a special Gifts under 100 section! 9.- Simply say it with flowers! Atelier Rose-Jasmin & Fleurop! As I told you at the beginning, I did not want this list to add a much of “objects” and “stuff” that is why it is better to give experiences and things we could learn or enjoy! Flowers for me are super special and I love having fresh flowers at home all the time, so when someone brings me or sends me flowers I am super happy! Check fleurop for more inspiration! 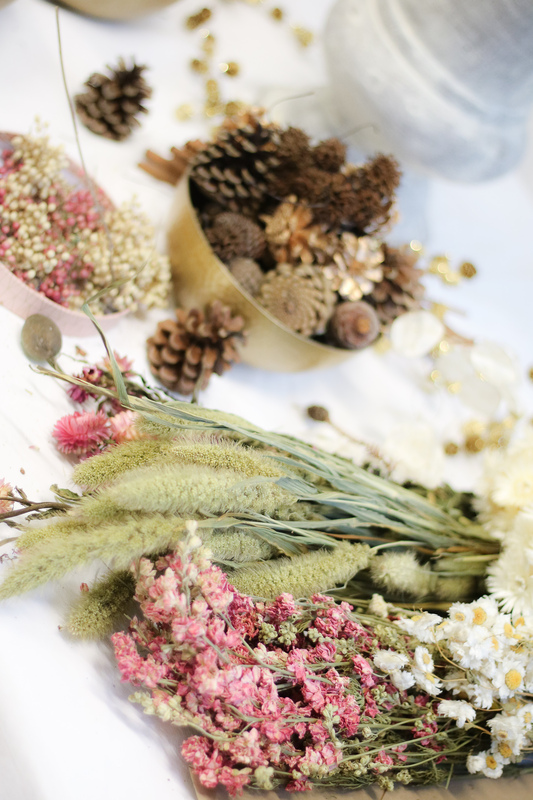 Another alternative is to offer a workshop with Atelier Rose-Jasmin (At 120chf ) that are super nice and you leave with your own creations. I just did the one of the Christmas Wreath and think it is amazing! Less than 100 : They also offer giftcards or with Atelier you can directly buy a workshop! 10.- Ekkla – Gift ideas & lovely lamps! What: Beautiful decorative luminary objects and lamps! Where: Based in Lausanne, selling online! Do you remember when I re-did my office with Sofia? Well thanks to that I discovered Ekkla and their beautiful selection of luminary decorative objects! Lamps are a great gift because 1) it is SO hard to find nice lamps and 2) the are useful and decorative at the same time! The lamp I have for my office is more than 100chf, but they also have a great selection under 100 chf ! 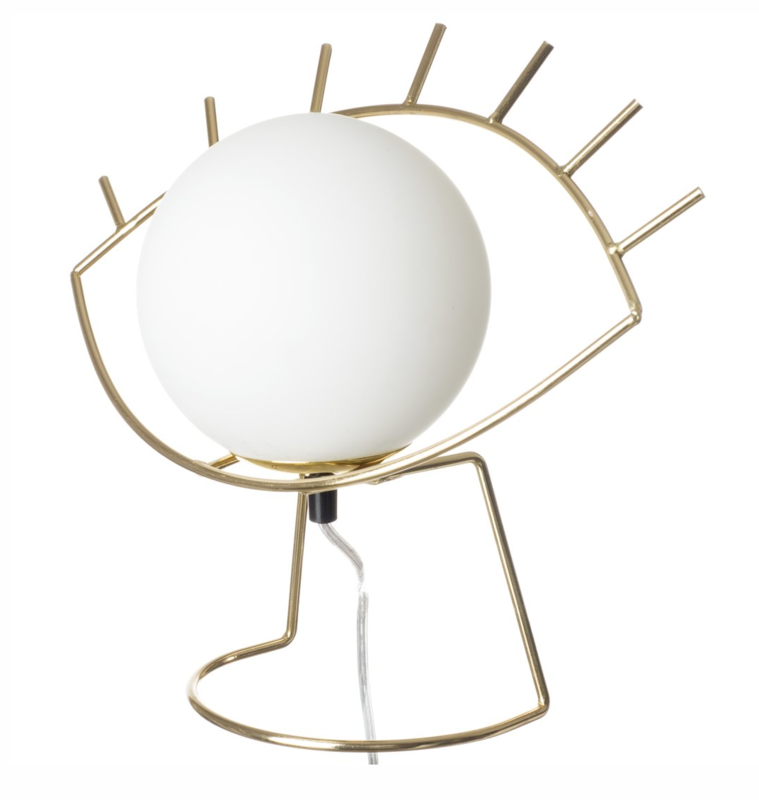 Less than 100 : I loved the EYE lamp under 100 and also you can purchase a giftcard!! I hope you liked the list! I want to take the opportunity to thank you all for this amazing year and see you everyday on instagram as usual! Do you have any brands to recommend? Pop them below on the comments! I would love to discover more!